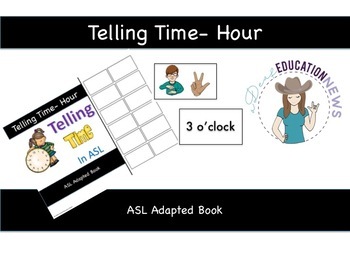 Do you need a way to teach student about time using hour hand in ASL? Look no farther! 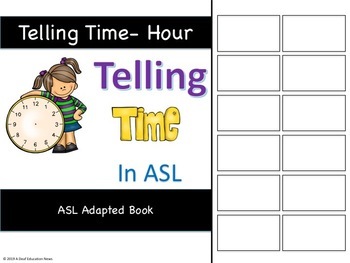 An adapted book for student to practice reading time and be able to tell time. You read-I read option where staff can read the predictable sentence and then the student can read/sign the predictable sentence back to the staff. Level 1: Students matches the ASL picture from the choice page to each page as they read each page. Level 2: Students matches the number from the choice page to each page as they read each page. 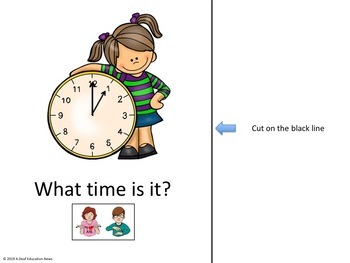 Student can read and tell time using the hour hand. Practice reading clock around the room/school.